This morning I decided I was going to do a simple yet delicious Sunday Brunch for the family. 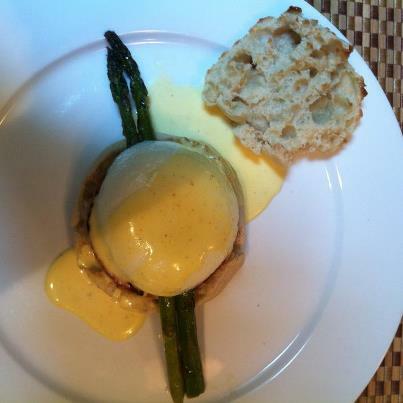 Now I am not an egg yolk fan so the picture you will see is of MY egg white benedict but everyone had the standard egg. 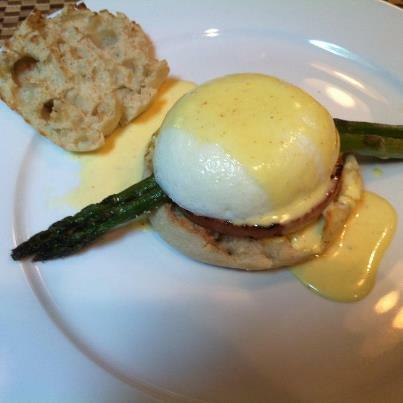 Lay English Muffin bottom on plate, top with slice of Taylor Ham or Bacon and lay 2 asparagus on top, then transfer poached egg on top and drizzle hollandaise over. Lay English Muffin top along side and enjoy!